More than 150 years ago, 27-year-old Irish immigrant Josiah Moore met 19-year-old Jennie Lindsay, a member of one of Peoria, Illinois’s most prominent families. The Civil War had just begun, Josiah was the captain of the 17th Illinois Infantry, and his war would be a long and bloody one. 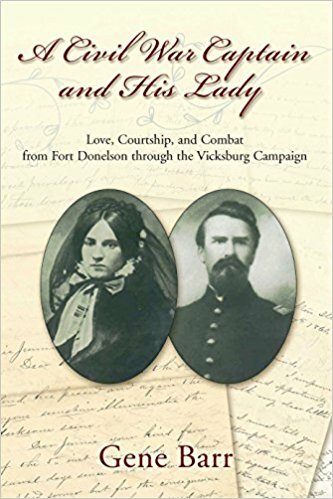 Their courtship and romance, which came to light in a rare and unpublished series of letters, forms the basis of Gene Barr’s memorable A Civil War Captain and His Lady: A True Story of Love, Courtship, and Combat. The story of Josiah, Jennie, the men of the 17th and their families tracks the toll on our nation during the war and allows us to explore the often difficult recovery after the last gun sounded in 1865. Gene Barr is the president and CEO of the Pennsylvania Chamber of Business and Industry, the commonwealth’s largest broad based business advocacy group. 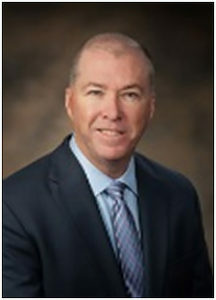 Prior to his work at the Chamber, he spent almost twenty years in the energy field including more than twelve years with BP America, the U.S. subsidiary of British Petroleum, and seven years at the Pennsylvania office of the American Petroleum Institute including three years as executive director of that operation. He also served for ten years as a local elected official in the Philadelphia area. Barr is a board member and past chair of the National Civil War Museum in Harrisburg, PA, among numerous other community and professional activities. A native of the Philadelphia area, Barr has had a longstanding interest in American history, particularly the Civil War period, sparked by his first visit to Gettysburg as a youth. He enhanced his knowledge while residing in Atlanta where he became familiar with the western theater of the conflict. He was active in living history for more than a quarter century and participated as an ‘extra’ in four films depicting the Civil War period, including “Glory” and “Gettysburg.” He has a bachelor’s degree in political science from St. Joseph’s University in Philadelphia. This is his first book. This entry was posted in Meeting archive on March 30, 2017 by hlj.